We do not ship Chickens or eggs. This is just a place to show you our little flock. Our first Bantam Calico Cochins arrived in a box. They were still in the egg and were incubated for 21 days. We were able to hatch 14 chicks from that batch of eggs and from them we have started our own breeding program. Cochins are a beautiful chicken with soft loose feathers, making them seem larger than they really are. We chose to have the Bantam variety because they are significantly smaller than their standard sized cousins. They are good egg layers and they make wonderful mothers. They are also a wonderful choice for people desiring a small backyard flock due to them taking less space and feed. We just fell in love with them the first time we saw them. "Frankie" is one of our original Bantam Calico Cochin roosters from the very first hatch we had. 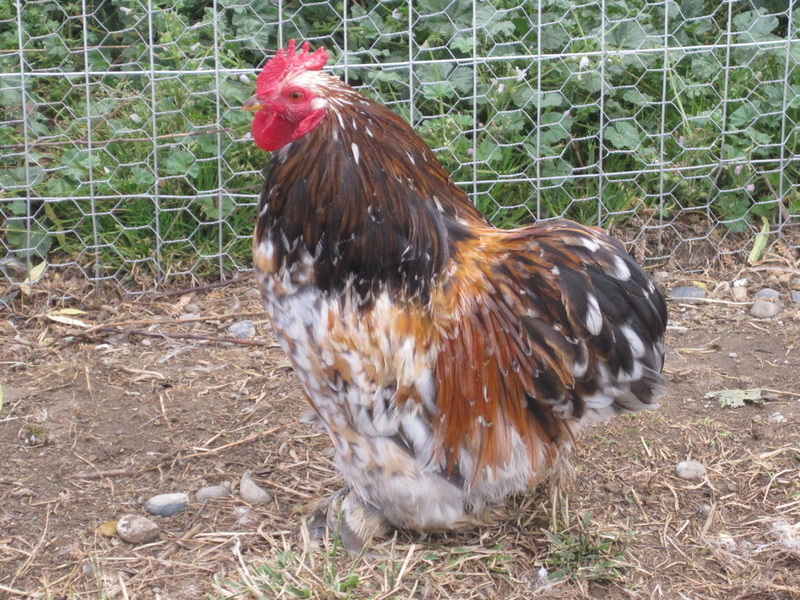 He has lovely calico coloring on his chest and deep mahogany hackles. The orange and black of his saddle and tail are also very striking. 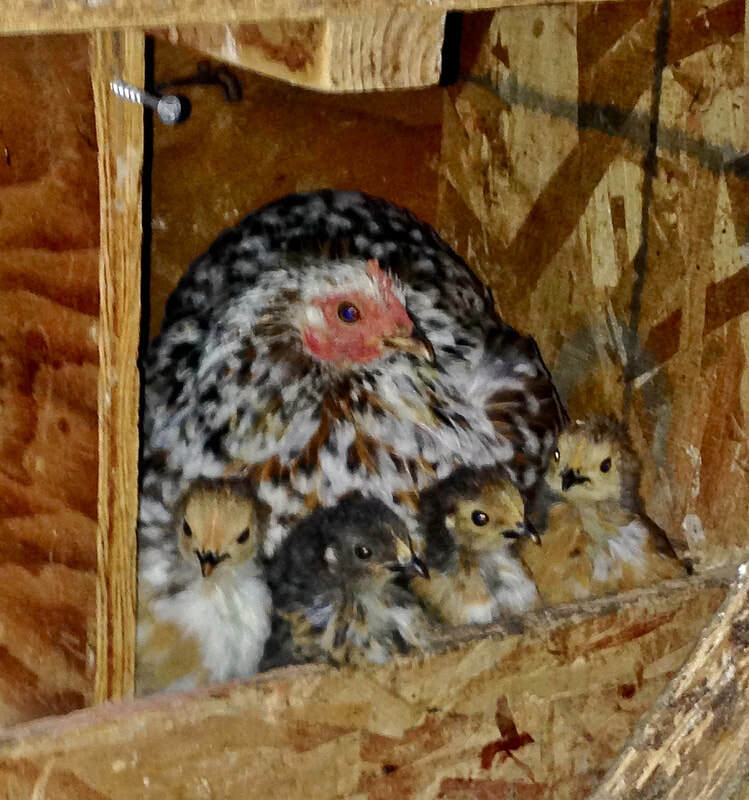 Frankie has thrown some beautifully colored chicks with docile personalities. Frankie is getting up there in age and has decided he likes the big girls. Since we already have many of his offspring we retired him to the standard size girls pen where he gets to interact with all the larger hens. They really don't pay much attention to him and he is happy there. One of the young Calico Frizzle hens. Three day old Cochin chicks. Calico Cochins come in multi colors. Usually they have black, brown, and white. The Bantam Cochins make wonderful "Momma's" and often will care for their chicks until they are nearly full grown. Calico Cochins were originally bred from the Milli Fleur Cochins and many of them have colors like them but with a bit more white. Two young Calico Cochin Frizzle Roosters. They will get more white on them as they age.